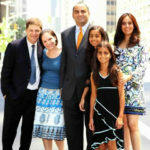 Vijay Kedia and Porinju Veliyath are both self-made millionaires. Both came from a poverty-stricken background and used their brilliant stock picking abilities to amass a fortune for themselves. Unfortunately, in the past, we have treated the recommendations offered by the two visionaries in a casual and dismissive manner, without according to them the respect that they deserve. This has turned out to be a very expensive blunder. I have earlier pointed out how stocks like KRBL, KNR Construction, Balaji Telefilms, Mirza International, Orient Cement, Future Consumer etc have given mind-boggling gains of up to 1800% (18-bagger) within a couple of years of the recommendation. If we had only obediently followed the recommendations and tucked into the stocks, we would today have been strutting around like multi-millionaires instead of continuing to wallow in poverty. Thankfully, it is never too late to make amends. We have to take a vow to abandon our defiant and rebellious attitude and attentively listen to the advice offered by the visionaries. Nikunj Dalmia grilled Vijay Kedia in a comprehensive manner and left no stone unturned. He even got Vijay Kedia to prepare a presentation of slides for our benefit. When Porinju Veliyath earnestly recommended Everest Industries and Ramco Industries as beneficiaries of the ‘trillion dollar’ infra theme, novice investors were not impressed. They were put off by the sluggish quarterly results posted by the duo as well as the cosmetically high valuations. Yet, the fact is that today, barely four months later, Everest Industries is up 96% while Ramco Industries is up 40%. Vijay Kedia started from where Porinju had stopped. “A lot of demand for asbestos roofs will arise as a lot of houses will be constructed,” Kedia said, flashing his famous cheerful smile. “The market size for all three verticals that Everest Industries is engaged in are huge and the Company will capture a huge market share,” he added. “The market capitalisation is only Rs. 1,500 crore while the size of the market is Rs. 1,00,000 crore,” Kedia emphasized even as the audience gaped in disbelief. At this stage, we have to note that there are several other stocks which will benefit from the housing/ infra boom such as Cera Sanitaryware, Kajaria Ceramics, HSIL, Asian Granito, Visaka Industries etc. Karnataka Bank is one of Vijay Kedia’s old favourites. He has recommended it as his “best pick for 2017” in Outlook Business. “I have invested in Karnataka Bank as it is the most technology savvy private sector bank available at PSB valuations,” he had said at that time. Vijay Kedia explained that Karnataka Bank is still a victim of the perception amongst investors that it is a junkyard PSU Bank and will sink like a stone under the weight of its NPAs. Yet, the fact is that the Bank is privately owned and has a dynamic management which has promised to step on the gas pedal and accelerate growth. 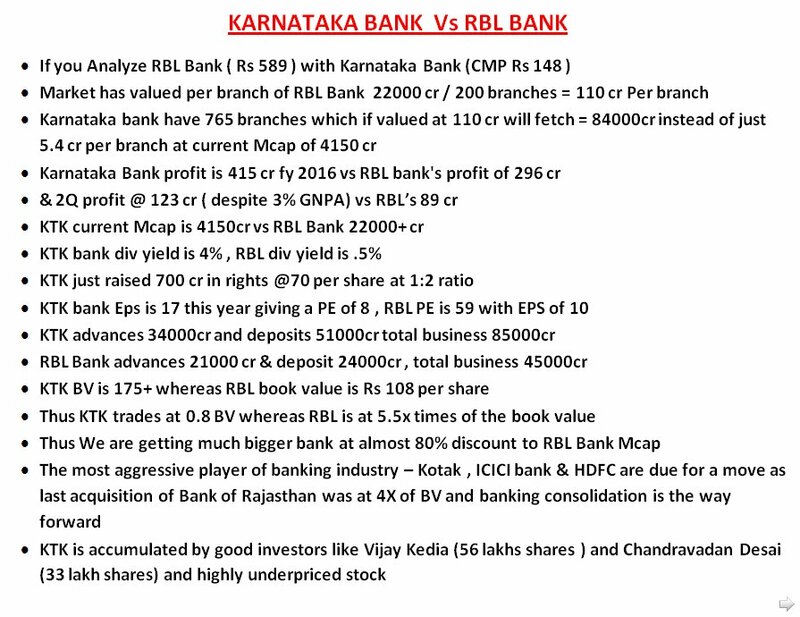 Vijay Kedia emphasized that Karnataka Bank is presently trading at valuations of about 1x book which is literally a throwaway valuation given that other private banks like HDFC Bank, IndusInd Bank, Yes Bank etc are commanding stratospheric valuations of 4x book etc. If Karnataka Bank gets its act in order and improves the NIMs while reducing the NPAs, it can effortlessly become a multibagger, he said. It is notable that Karnataka Bank has a number of admirers such as Sanjay Dutt of Quantum Securities. Some have even opined that the Bank is the “next RBL Bank”. 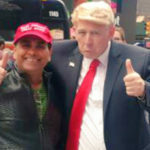 Repro India is also one of Vijay Kedia’s old favourites. 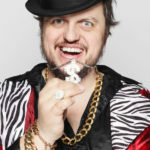 He has opined that the stock will benefit immensely from “disruption” in the way that Apple Inc has benefited from disrupting the computer and music industry. The stock has done well with a 73% YoY return. However, if we go by Vijay Kedia’s theory of disruption, this could just be the beginning of the gush of gains. Porinju did not disappoint either. 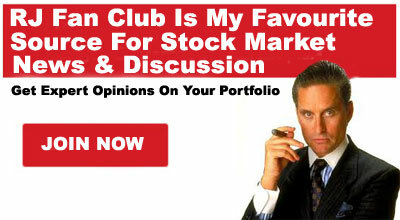 He recommended three promising stocks which have limited downside and huge potential. Porinju described GVK Power as having “huge turnaround potential”. He also opined that if things go as per plan, the stock can deliver 5x/ 10x multibagger gains. He explained that investors have presently written off the stock and are not willing to touch it with a barge pole owing to its huge liabilities and exposure to risk. He emphasized that this is where the opportunity arises for the intrepid investor. “You have to be rational and logical when you look at the debt of the company,” he said. “You have to see the debt and assets of the company and what the management is doing to come out of that mess. If they become successful then GVK can be 5-10 bagger going forward,” he added. He also described GVK as a “huge company with great capability and excellent management”. Kaya needs no introduction because it is promoted by Marico, the blue chip company of Billionaire Harish Mariwala and has excellent credentials. Porinju described Kaya as having a “great brand” and “wonderful management”. He explained that the present valuations are subdued because the business is struggling and bleeding cash though the business does have the potential to grow big. He emphasized that once the profits start gushing in, the stock will effortlessly command a valuation of 5x and become a multibagger. “Such great ideas have to be identified early before the numbers start coming,” Porinju advised with a confident smile. Porinju explained that the fact that a dominant media company like ZEE Media is available at a throwaway valuation of only Rs. 1800 crore is laughable when one bears in mind that it is catering to a population of 1,300 million (130 crore) people. Even if a small fraction of the Country’s population becomes the audience of ZEE Media, the stock will surge like a rocket. “You have to make people understand the value of numbers when you invest in the market,” Porinju said in a serious tone even as he repeated the numbers for the benefit of the viewers. 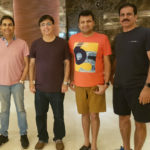 Zee Media’s parent company, Zee Entertainment Enterprises, commands a valuation of about Rs 30,000 crore, which is also quite petty having regard to the size of the opportunity available. It is obvious that the two stalwarts have bestowed a lot of thought whilst cherry-picking the stocks for us. The stocks are not only fail-safe but are likely to shower mega gains upon us in the foreseeable future! Market cap of Everest Industries 1500Cr ??? BSE & Moneycontrol websites show only 750Cr. Seems there was a mistake. Everest MCap is just 750 cr. Total Equity base is 1.55 Crores. Everest Industries makes Asbestos roof? I hope not. Asbestos is a dangerous material and has been banned by developed countries several years ago. Unfortunate that it is still used in India. If Everest Ind. makes Asbestos roof, I will call it a ‘sin’ stock. Asbestos or Fibre cement roofing is just one product from them. They have multiple roofing solutions, boards & panels and Steel Building products. Asbestos just contribute for 5% of revenue. Yes, Madheswaran is right. It has diversified products portfolio with huge potential. Yes, I agree, asbestos based sheets has been banned in most parts of the world. I do not understand why this industry is being supported by Government and how an ace investor can recommend this as a multibagger. Its worthless to compare RBL to Karnataka Bank, until a few American bankers swoops on this sleepy little town’s state named bank! Four Good old banks from and around this town were nationalised in 1969 and 1980 which are struggling thanks to the successive governments, ministers, politicians etc looting them. The K Bank should get some global bankers to take it over and also change its branding. I think I have said enough. Despite whatever management (which it is having for last couple of decades, by the way) story they present, its not enough. it needs technology in todays world and I cant see that technology coming up anywhere around this bank. When I say technology, I always keep ICICI Bank as a model. Even HDFC, Axis, SBI, Yes havent reached there. Kotak is there. Dont know much about IndusInd, but guess its good, the way investors grab it.